The new Shiite-dominated pro-Iran government will most likely have negative repercussions for US-Iraqi relations. Yochanan Visser is an independent journalist/analyst who worked for many years as Middle East correspondent for Western Journalism.com in Arizona and was a frequent publicist for the main Dutch paper De Volkskrant. He authored a book in the Dutch language about the cognitive war against Israel and now lives in Gush Etzion. He writes a twice weekly analysis of current issues for Arutz Sheva. "Is democracy finally taking root in Iraq?" read a headline above a news report about the war-torn country last week, after news broke that the winner of the May elections, maverick Shiite cleric Moqtada al-Sadr, had succeeded in forming a coalition. The new coalition is dominated by Shiites and includes the Fatah (Conquest) alliance led by Hadi al-Ameri, a Shiite extremist whose Badr organization maintains a close relationship with the Iranian Islamist regime and fought on the Iranian side in the Iran-Iraq war in the 1980s. Al-Sadr’s other coalition partner will be the mainly secular Victory alliance led by current Iraqi Prime Minister Haider al-Abadi, who maintained close ties with the Islamic Republic as well as with the United States - which still has between 5,200 military and 9,000 US troops in Iraq. Al-Abadi ran on a cross-sectarian platform and his party includes some Sunni politicians. The majority of the winners on his list were Shiities and his Islamic Dawa block, a Shiite Islamist party, formed the backbone of the Shiite dominated coalitions which governed Iraq from 2006 up to the present. A closer look at al-Sadr’s coalition reveals two things. One is that Iran has again succeeded in shaping Iraq’s next government by intensive ‘lobbying’, according to two Shiite politicians who were interviewed byAssociated Press. This is the case despite the fact that al-Sadr never maintained good relations with Iran and always positioned himself as an Iraqi nationalist. Already in May, Qassem Soleimani, the shrewd commander of Iran’s Quds Force, the brigade of the Iranian Revolutionary Guards Corps (IRGC) which is tasked with exporting the Islamic Revolution throughout the Middle East, intervened in the coalition building process in Iraq and met with al-Sadr and other Iraqi politicians. Iran’s Supreme Leader Ayatollah Ali Khamenei, later dispatched his son Mojtaba to Bagdad, where he held secret talks with the leaders of Shiite political parties in Iraq. The secret discussions lasted for ten days and were overseen by the Iranians, a Shiite politician in Iraq revealed. The second thing is that the forming of al-Sadr’s government, where he himself won’t be Prime Minister but will act as a power broker, will most likely have negative repercussions for US-Iraqi relations. Although Al-Sadr, who ran on an Iraq First platform, has said he wants all foreign troops out of Iraq, the inclusion of the Iranian-backed Fatah alliance in the new government will probably spell the end of the American-Iraqi alliance. Both al-Sadr and al-Ameri are known for their anti-Americanism, with al-Sadr’s ‘Mahdi Army fighting the U.S. army and its allies face to face during the surge following the U.S. occupation of Iraq which started in March 2003. 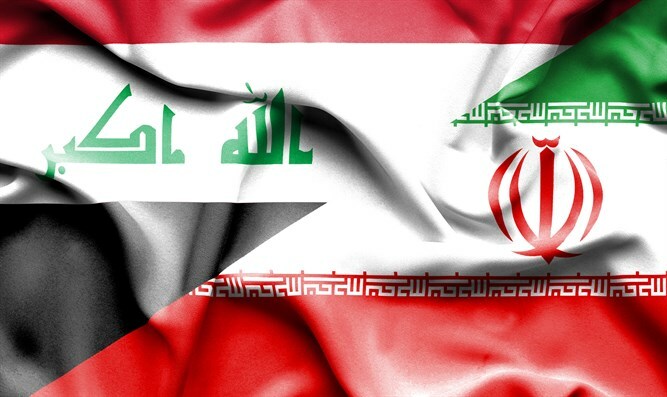 “This coalition is a product of Iran’s desire to influence internal forces in Iraq,” Wathiq al-Hashimi of the Iraqi Group for Strategic Studies told the Voice of America. “But besides the Shiite National Alliance, there will be a Sunni alliance and a Kurdish alliance, and a return of sectarianism among all the armed blocs and factions. ... This is the most dangerous thing in Iraq right now,” al Hashimi added. Recent events in Iraq indicate al-Hashemi might be right in his prediction. Iraq could once again be the scene of severe sectarian violence. On June 6, a deadly blast rocked ‘Sadr City’ in Baghdad when a ammunition and weapon depot reportedly belonging to al-Sadr’s ‘Peace Companies’ militia exploded, killing 18 people. The explosion led al-Sadr and other Iraqi politicians to call on the new government to disarm all militias but chances are slim this will actually happen. The Hashd al-Shaabi umbrella organization of the Iranian-backed predominantly Shiite militias became an integral part of the official Iraqi security forces at the end of 2016 and there is no way Iran will allow their disarmament. In addition, al-Sadr has not offered to disarm his own ‘Peace Companies’ militia. Last week, Safa Hassan, an Iraqi government official, was assassinated in the southern province of Babil by a group of unknown gunmen who stopped his car, and after taking away his driver, riddled Hassan with bullets. At the same time members of the Kata’ib Hezbollah militia engaged in a gunfight with police in Bagdad, wounding three people. The shoot-out began after police stopped a car carrying fighters of the militia which is part of Hashd al-Shaabi. The stand-off between Kata’ib Hezbollah and Iraqi police in Bagdad was seen by some as the beginning of a power struggle over control of the security apparatus in Iraq. Another indication Iraq may slide into a return to sectarian violence is the comeback of ISIS in the country. After losing their caliphate, the brutal Sunni Jihadists now engage in guerrilla warfare to achieve their goals. ISIS is again trying to get a foothold in the oil-rich Kirkuk province and carries out daily attacks on villages in west Kirkuk. A Kurdish official told local media ISIS terrorists are expected to launch an attack on the city of Kirkuk which was partly captured by Hashd al-Shaabi militias last year. The Kurds now plan to return their Peshmerga militia to Kirkuk in order to defend the city and have asked the U.S. Special Forces in Iraq to help them in the renewed fighting against Islamic State. Another indication that ISIS is seeking a sectarian inspired confrontation with the new Shiite dominated central government in Iraq is an ultimatum the group issued to secure the release of jailed Sunni women. After kidnapping six members of the Iraqi security forces, ISIS threatens to kill all of them within three days unless the government in Bagdad releases female Sunni inmates.